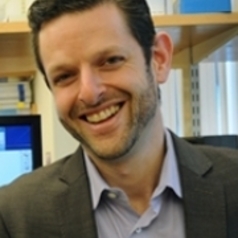 Dr. Jeff Karp is an Associate Professor at Brigham and Women's Hospital, Harvard Medical School, and is Principal Faculty at the Harvard Stem Cell Institute and affiliate faculty at MIT through the Harvard-MIT Division of Health Sciences and Technology. His research harnesses materials science and stem cell biology to solve medical problems with emphasis on nanoscale/microscale materials and bio-inspired approaches. He has published more than 100 peer-reviewed papers and book chapters and has given over 140 national and international invited lectures and has 50 issued or pending patents. Several technologies that Dr. Karp has developed have formed the foundation for multiple products under development and for the launch of two companies, Gecko Biomedical and Skintifique. Dr. Karp's work has been recognized by CNN, NPR Science Fridays, Boston Globe, ABC News, MSNBC, Fox News, CBC Quirks and Quarks, CanadaAM, BBC, LA Times, Forbes, National Geographic, Popular Science, the Washington Post, the New York Post, and by Wired Magazine. In 2011 the Boston Business Journal recognized Dr. Karp as a Champion in Healthcare Innovation and in 2013 the Institute for Chemical Engineers (IChemE) awarded one of his technologies at the Most Innovative Product of the Year. MIT’s Technology Review Magazine (TR35) also recognized Dr. Karp as being one of the top innovators in the world under the age of 35. He has received the Society for Biomaterials Young Investigator Award and his work has been selected as one of Popular Mechanic's "Top 20 New Biotech Breakthroughs that Will Change Medicine”. Dr. Karp was also elected in 2013 to the American Institute for Medical and Biological Engineering's College of Fellows and as a Kavli Fellow. Dr. Karp is also an acclaimed mentor. He was selected as the Outstanding Faculty Undergraduate Mentor among all Faculty at MIT and received the HST McMahon Mentoring award for being the top mentor among all faculty who mentor Harvard-MIT students. To date, 16 trainees from his laboratory have secured faculty positions at institutions throughout the world.